V&S Distillers (formerly Danish Distillers) is Scandinavia’s largest producer and supplier of spirits for consumption. The foundation for Danish Distillers has always been aquavit. The company was founded by C.A. Olesen and C.F. Tietgen in 1881. Both were enterprising businessmen, and they resolved together to create a company that would produce and sell the finest Danish distilled spirits – this marked the beginning of a comprehensive series of acquisitions of the best Danish distilleries. Their production is therefore based on old Danish distillery traditions, and many of tje products are still being produced today using their original recipes. 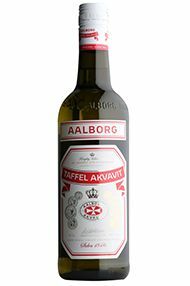 Aalborg Taffel Akvavit has a very pure caraway bouquet which is only supported by a slight hint of orange. 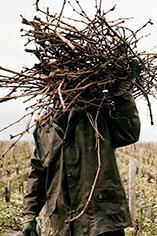 Its full body and aromas make it all the way around your mouth. The recipe has been identical in all the years since 1846 when it was first launched– as is the result: a crystal clear aquavit that is full of character and is best enjoyed chilled with herring and other good food – preferably in cheerful company. You may like to also try it with gorgonzola and egg yolk. Aalborg Taffel Akvavit won the best aquavit in the world award in 2002 at the International Wine and Spirit Competition.